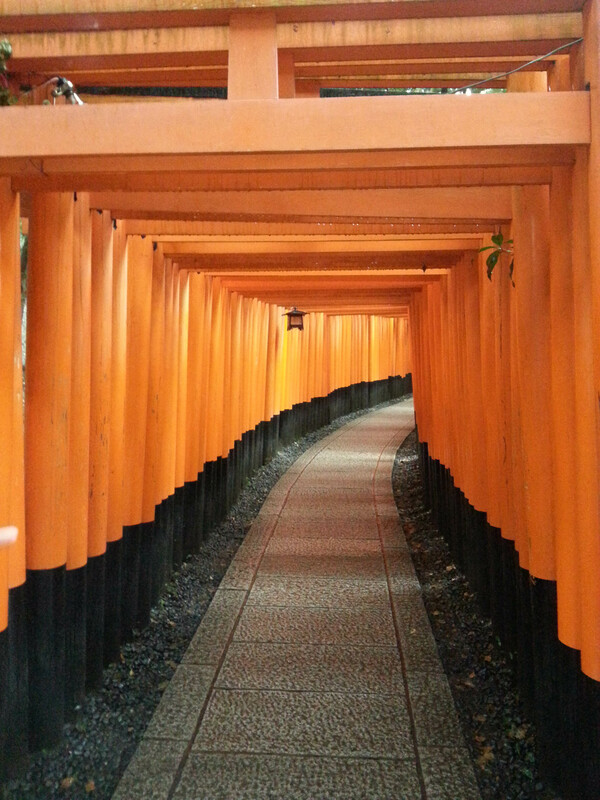 For winter break I traveled to Japan and met up with some friends for an awesome, although brief, trip. 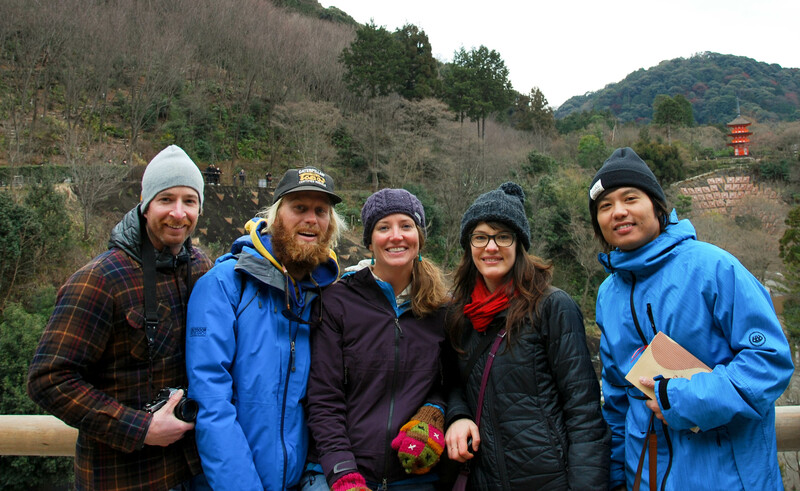 I flew to Osaka and took a train to Kyoto to meet Kinsey and Lars, who are currently living in Australia, as well as Shun and Charlie who were visiting from California and Washington. 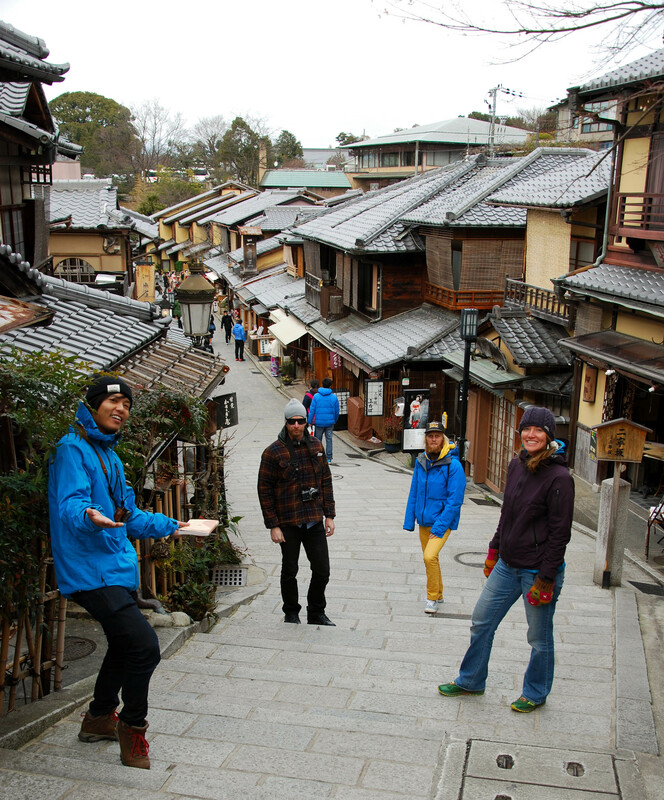 Lars lived in Japan during his college days and Shun is Japanese, so it was great having them help navigate, translate and take us to places we probably never would’ve gone had we not been with them. 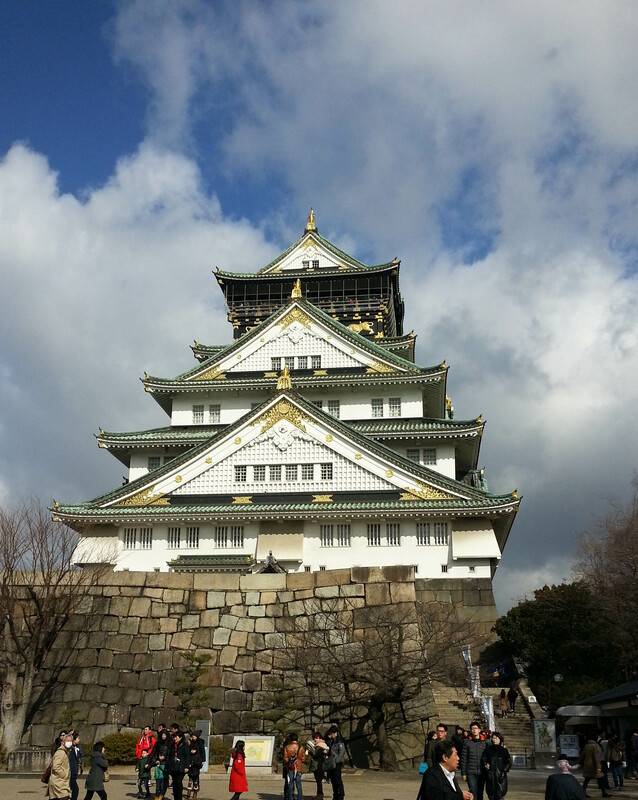 We spent the majority of the time eating, drinking, and shopping, with a little bit of historical sightseeing mixed in. 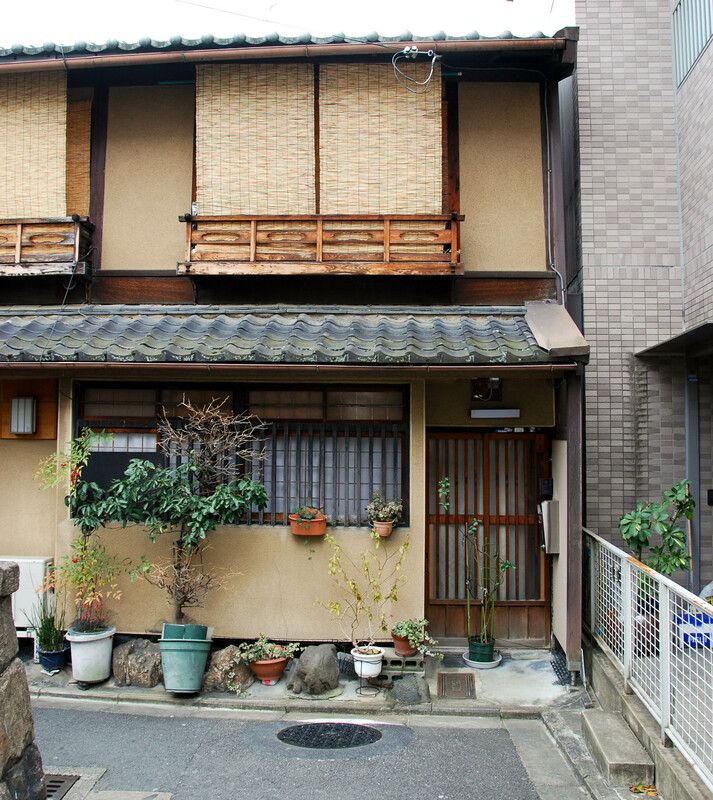 We used Airbnb to rent a place in Kyoto for two nights and a place in Osaka for two nights. 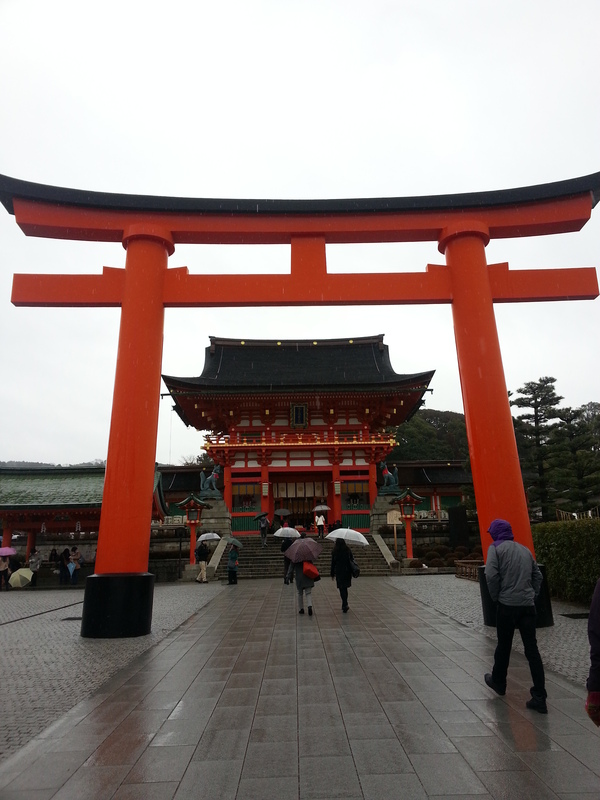 Overall, I found Japan to be much cleaner and calmer than Korea, especially Kyoto. The food was equally delicious as Korea’s (except for the sushi, Japan wins in that department), and I was very happy to be able to drink tasty Japanese micro-brews (sorry, Korea, I’m way over your Cass and soju) and of course, sake. 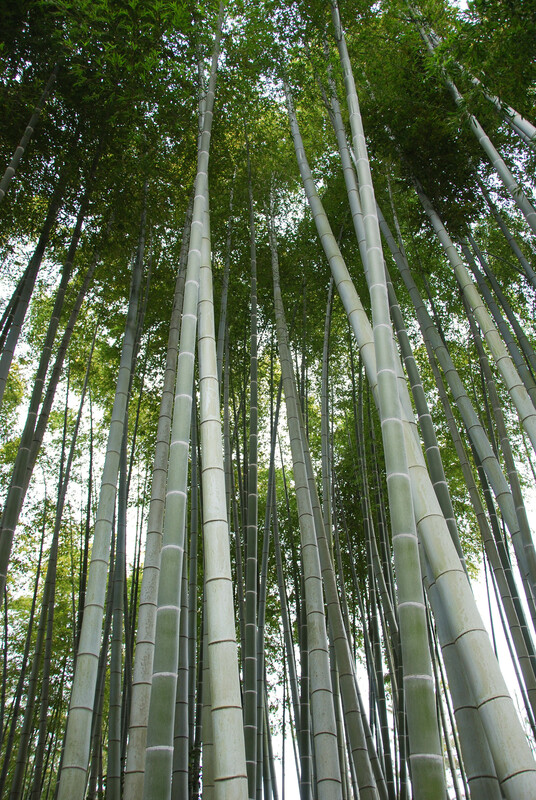 I really hope to go back to Japan someday in the spring or summer. 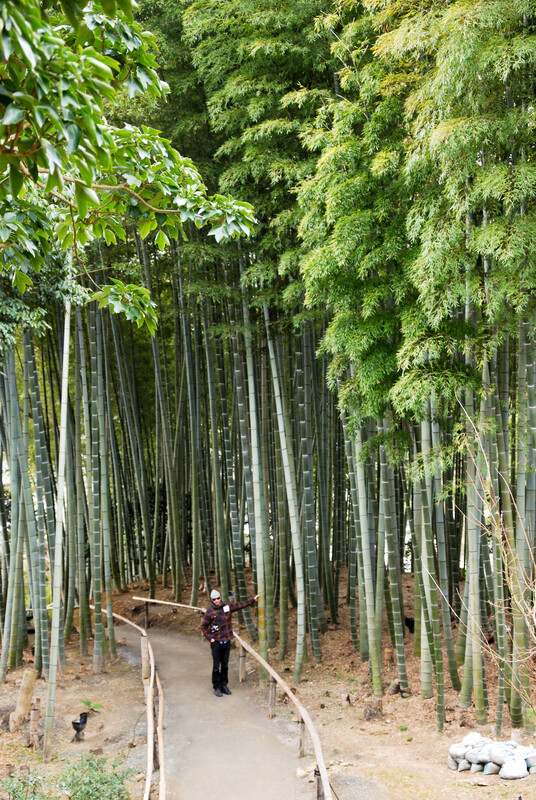 It was still beautiful in winter (despite the season, there was a lot of green foliage which reminded me somewhat of Seattle in the winter), but I imagine it to be even better when everything is in full bloom. Until then, I hope you enjoy this mass upload of photos. 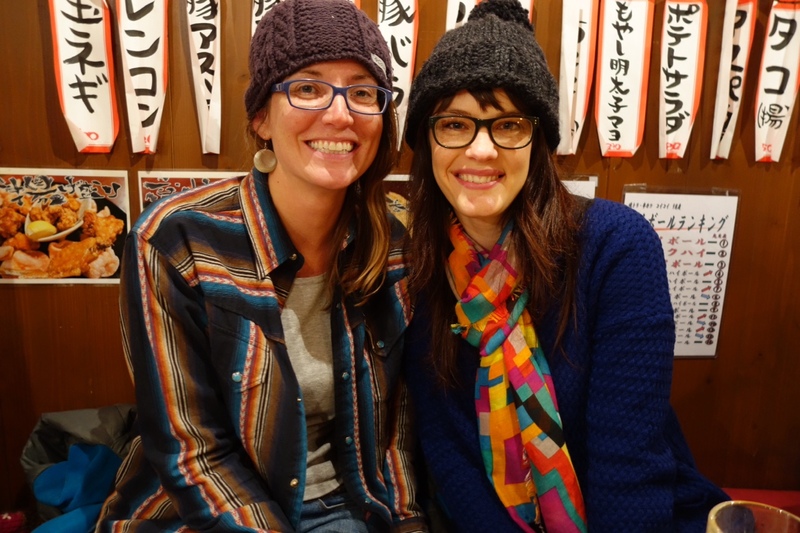 I was so excited to meet up with Kinsey in Japan! 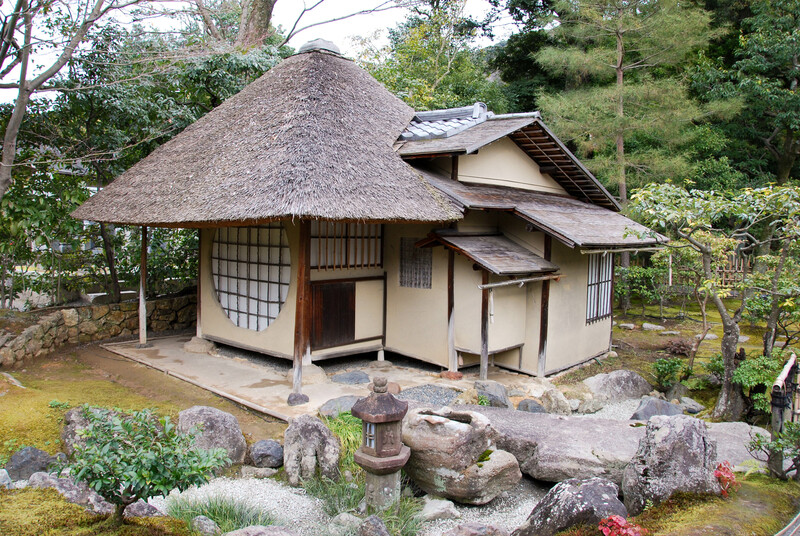 The entrance to a typical Japanese house. 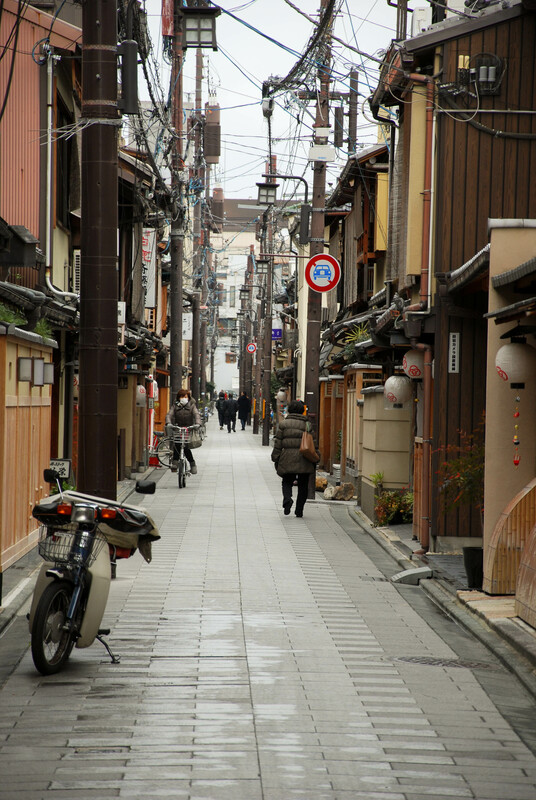 A side street in Kyoto. 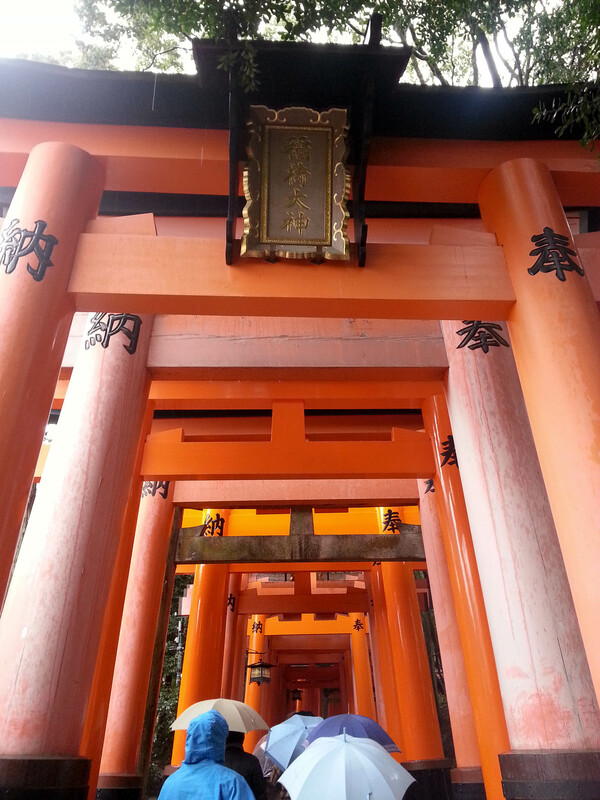 The entrance to Fushimi Inari Taisha, a shrine in Kyoto. 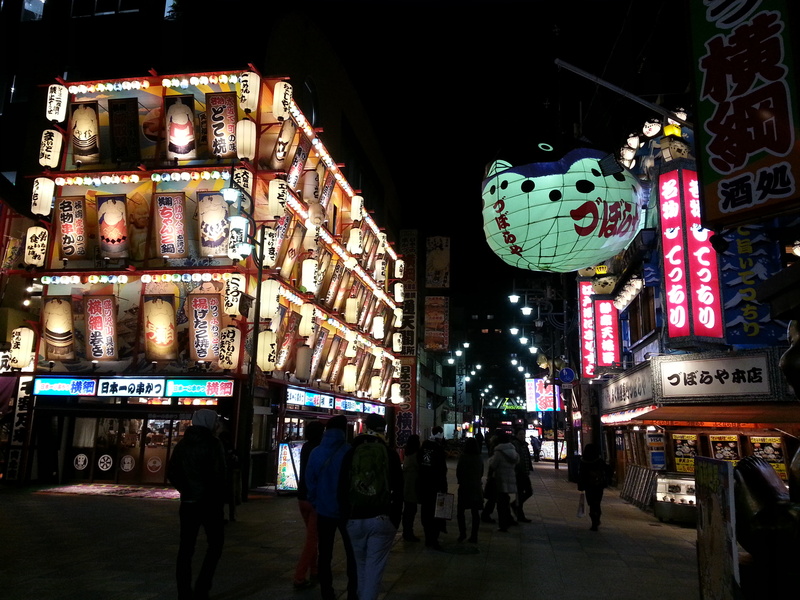 The snazzy craft beer bar in Kyoto. 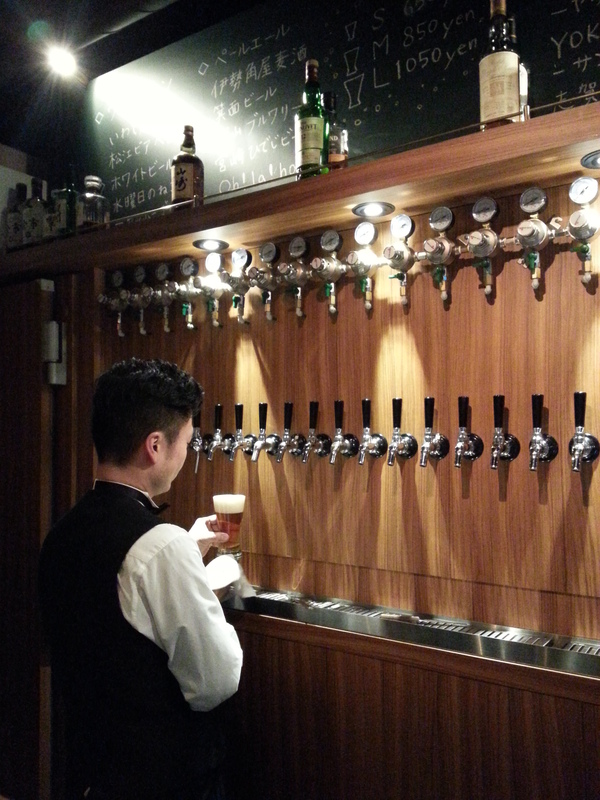 They had 24 different beers on tap, all made in Japan. 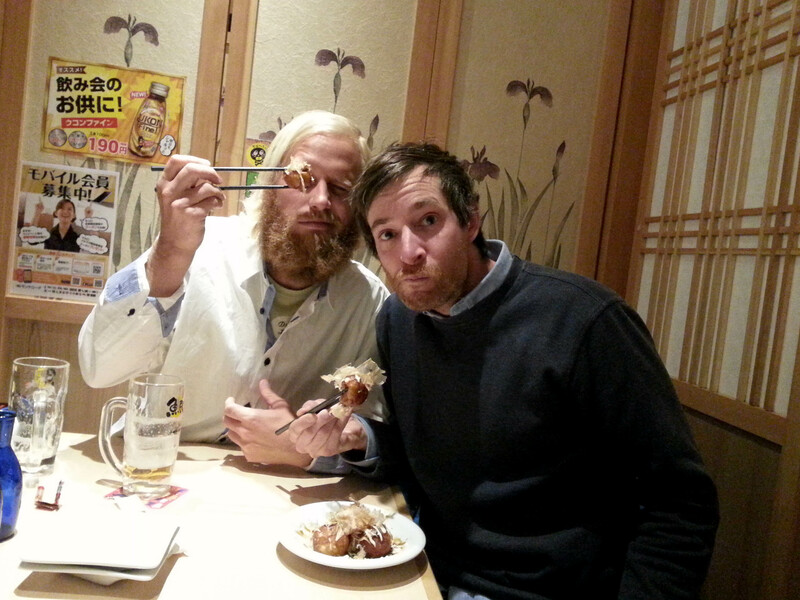 Kinsey and Shun at an izakaya (a Japanese tapas style bar) offering all-you-can-drink for 90 minutes for just $12. It was a fun night. 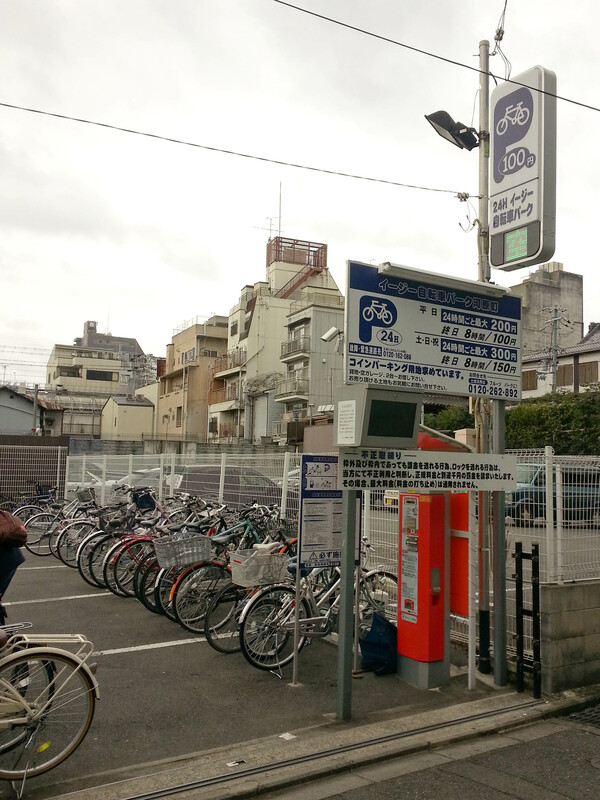 A bike parking lot! Bikes are everywhere in Japan. 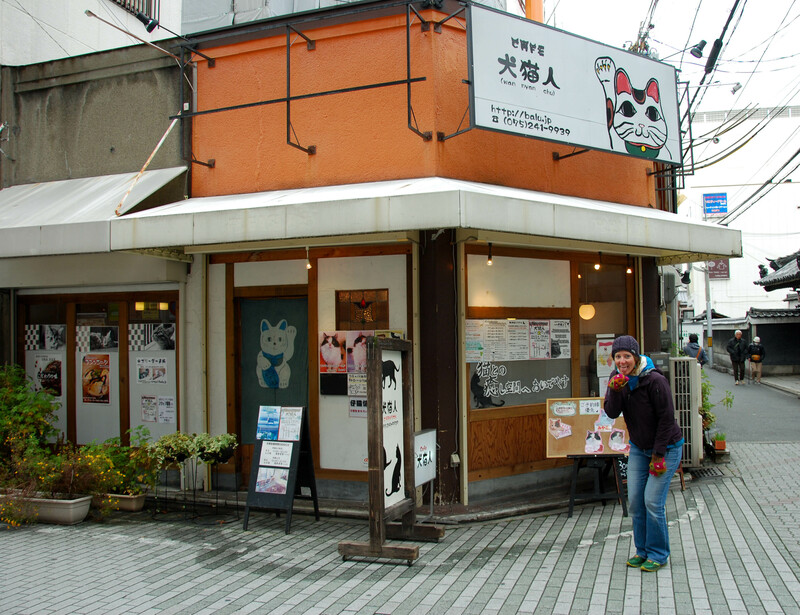 We found a cat cafe in Osaka. Here’s Kinsey’s cat impression. An old sake vending machine in a cute neighborhood in Kyoto. We tried to buy a bottle, but it wasn’t working. 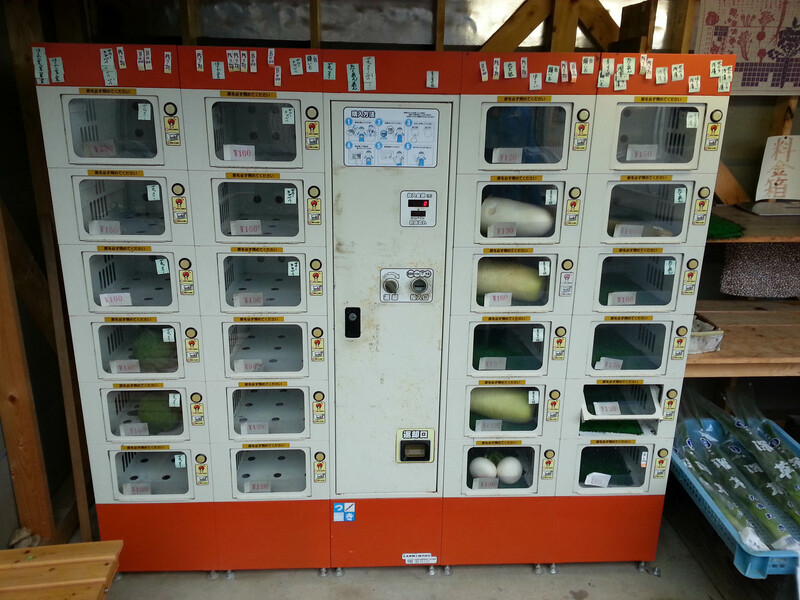 A vegetable vending machine! You can see broccoli in the bottom left corner. It seems they have vending machines for everything in Japan. 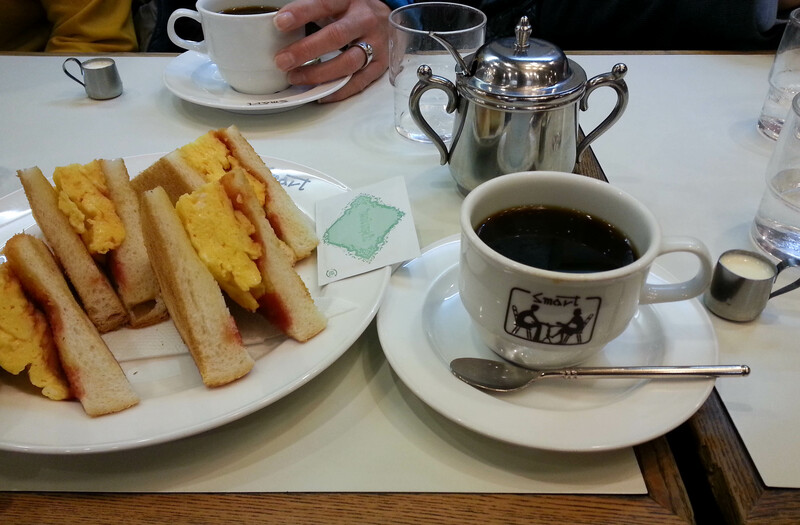 We found several excellent coffee shops in Kyoto, which was awesome because I’m a bit tired of Korean instant coffee. I also ordered what was described as “egg toast” which came slathered in ketchup. The boys ordered french toast that was amazing. 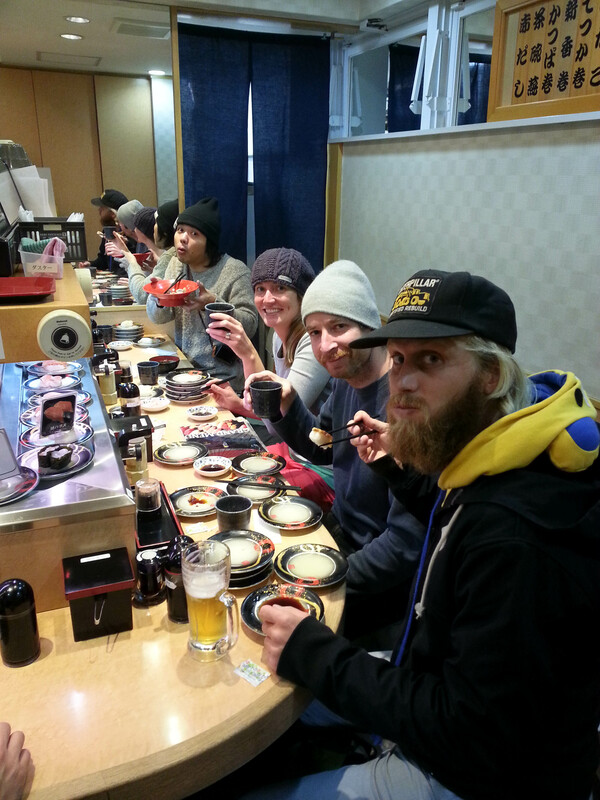 Conveyor belt sushi. 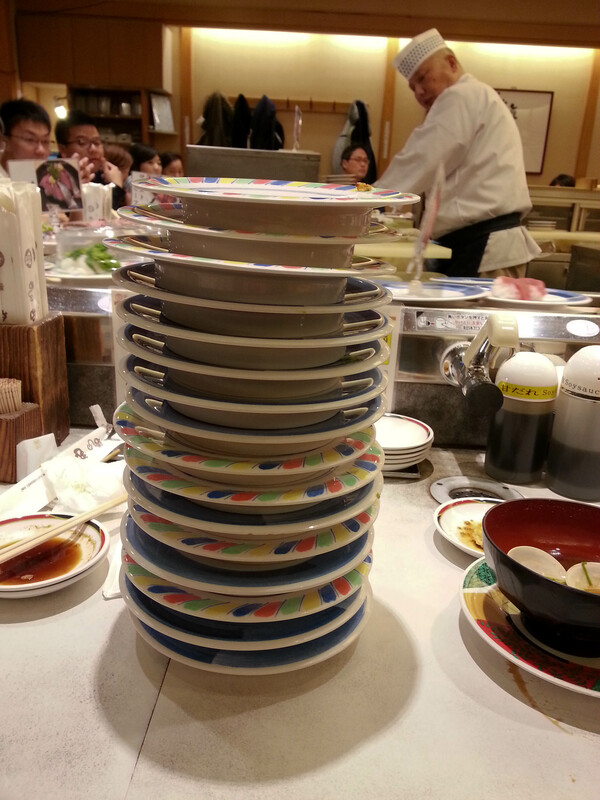 Each plate was only $1.30 and it was delicious. 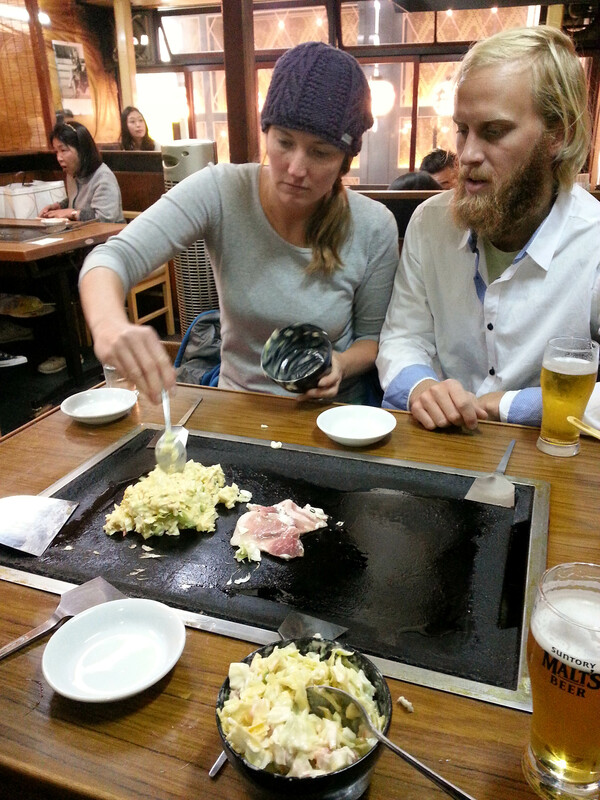 Shun took us to a restaurant in Osaka that is known for okonomiyaki (a type of savory pancake) that you cook at your table. You are given a bowl with all the ingredients which you mix up then put on your grill. 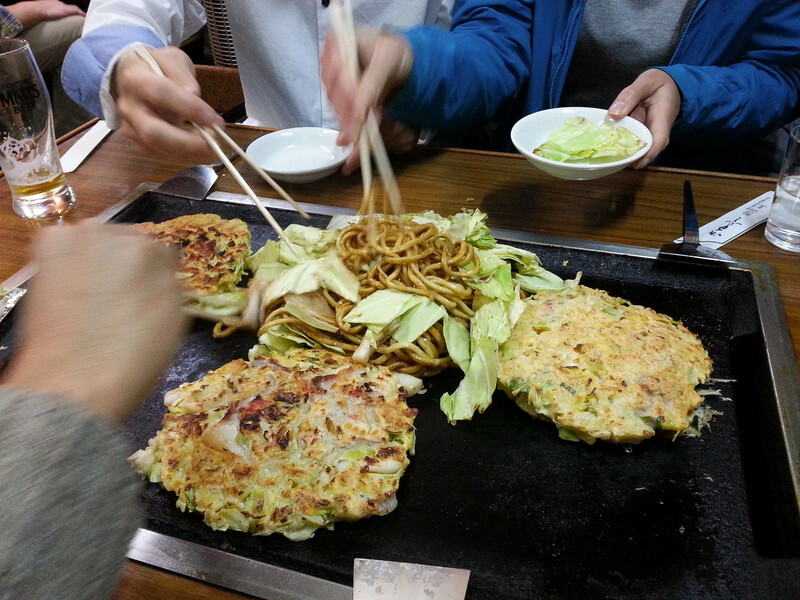 They came with cabbage, onions, a batter of some sort, and egg and a type of meat (we tried one with pork, one with beef and one with seafood). 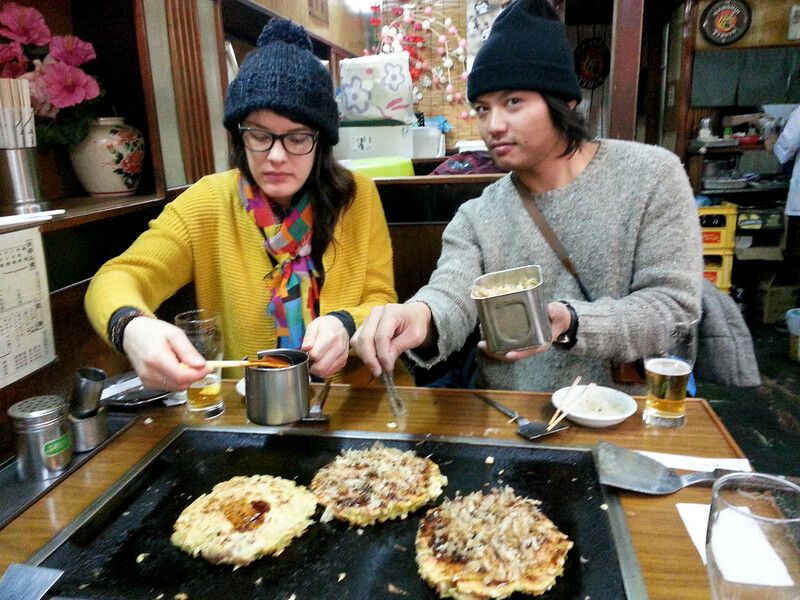 After the pancakes are cooked, you add a delicious sauce and katsuobushi (dried bonita fish flakes) to the top. The were so tasty! The woman that worked there was really sweet and liked posing for the camera. 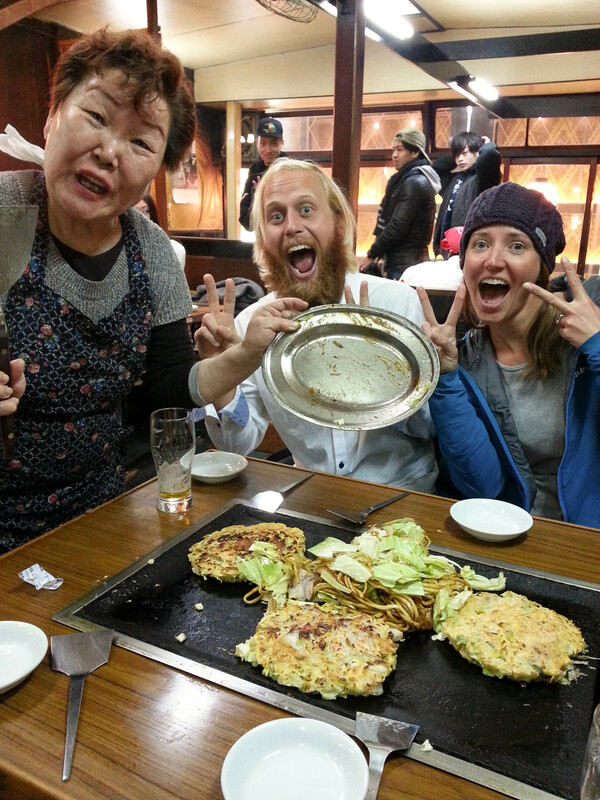 We also ordered yakisoba. It was so good. 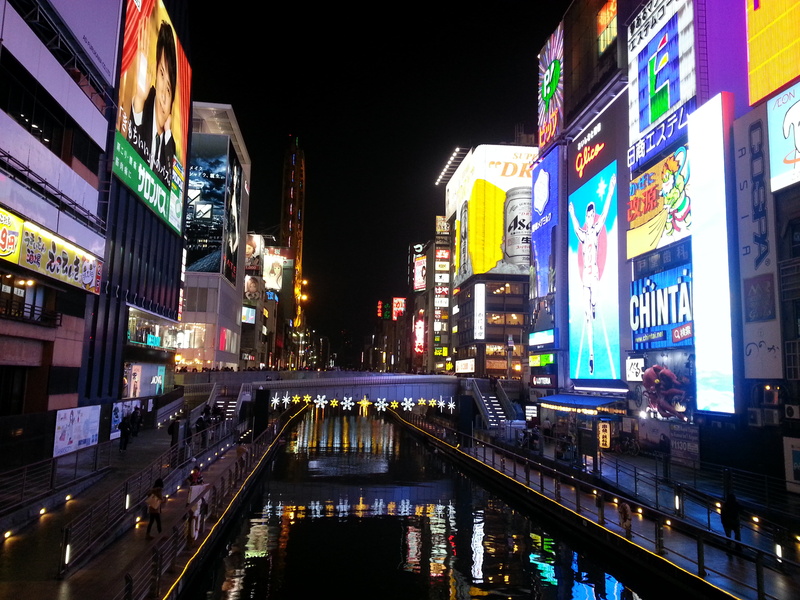 Dotonbori, Osaka. So many people! We tried out a purikura (a Japanese style photo both). Twice. They photo shop you so much that you look like completely different people. Then you can add all kinds of stickers and embellishments. We looked ridiculous. It was hilarious. 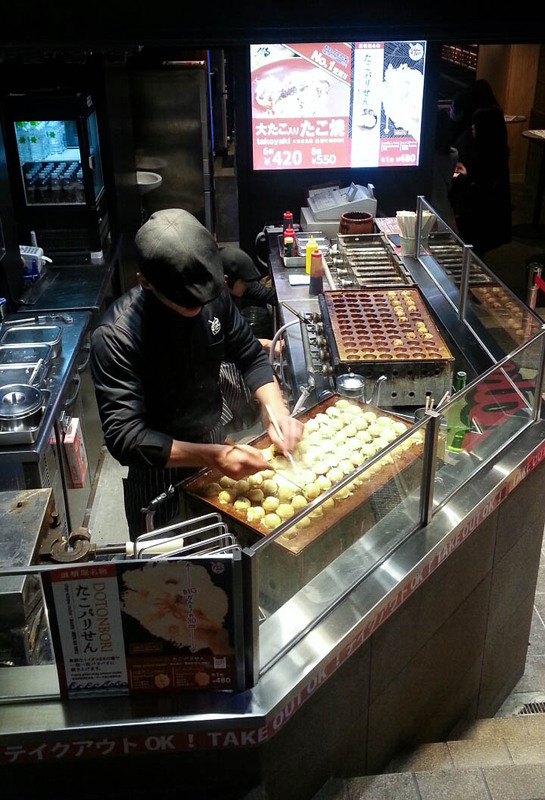 Takoyaki, a flour based pancake-like ball filled with octopus. 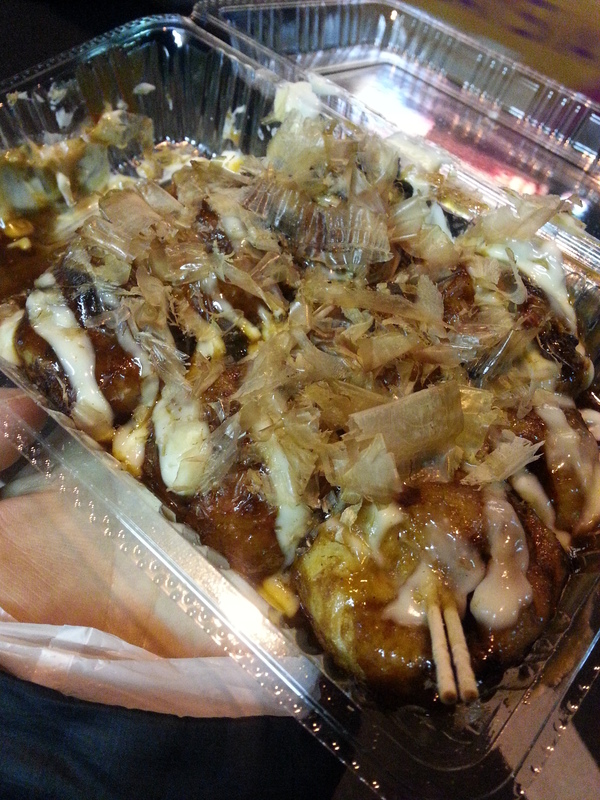 Little stands selling them at all hours are all over Osaka. 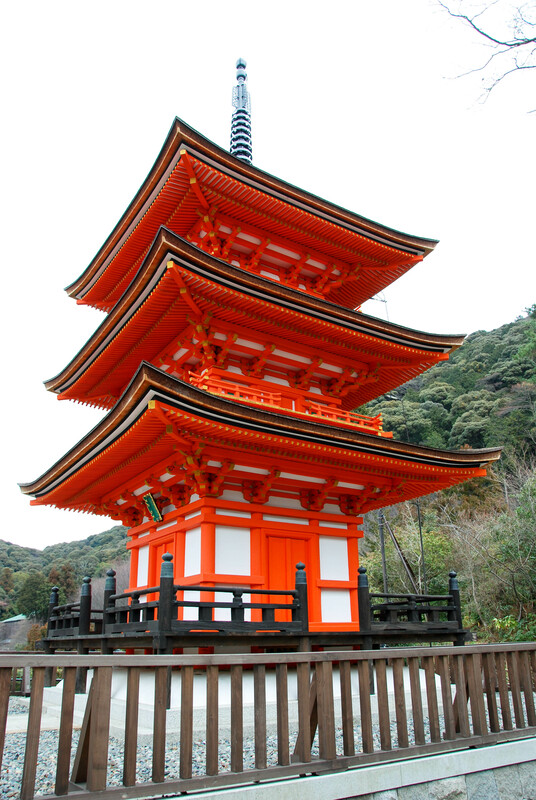 Kiyomizu-dera, an ancient Buddhist temple. 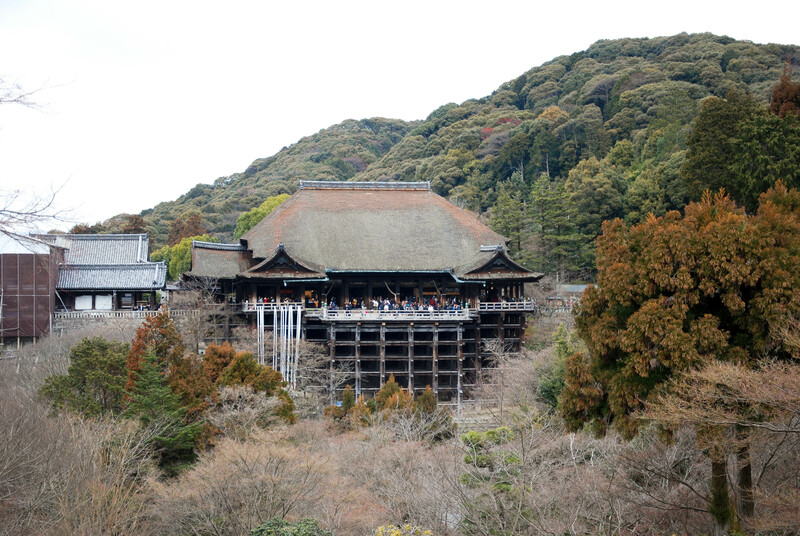 An old man yanked my camera from me when we were at Kiyomizu-dera and snapped quite a few photos of us. Had we not been in Japan, I would’ve thought he was trying to steal my camera. 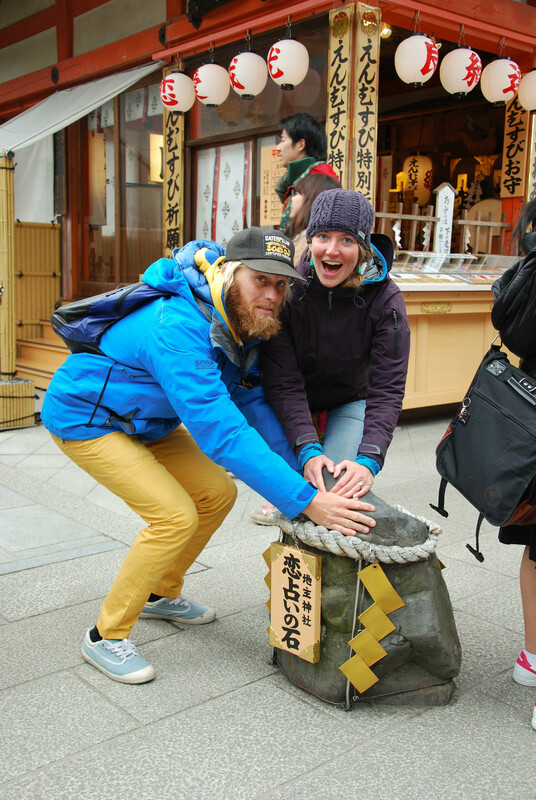 Kinsey and Lars rubbing the rock for good relationship luck. 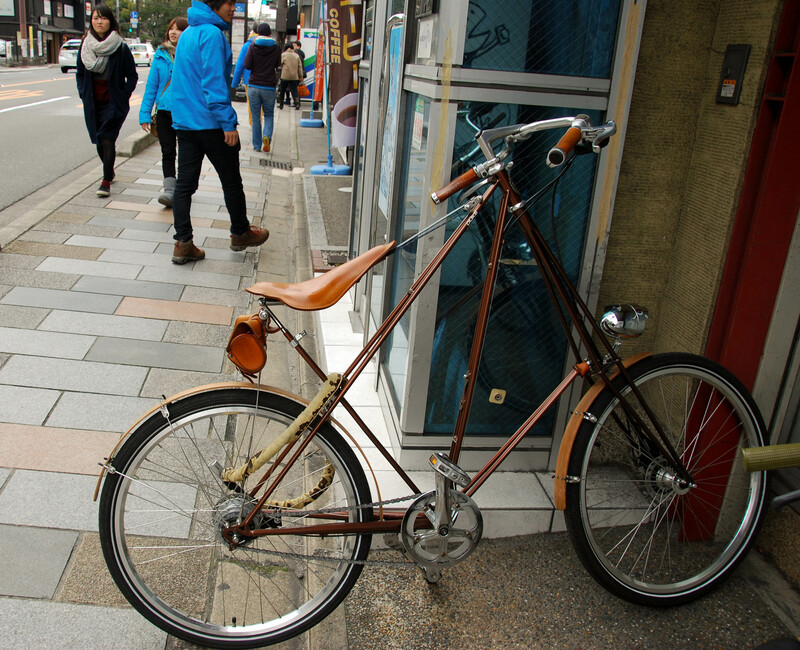 We stumbled upon this cool old bike in Kyoto. 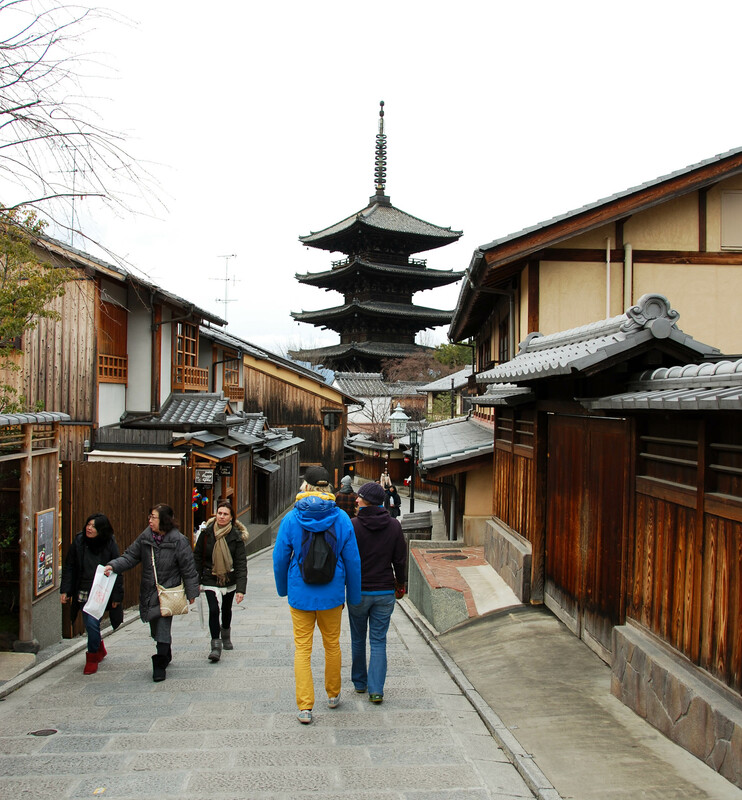 Walking around the Gion district in Kyoto. 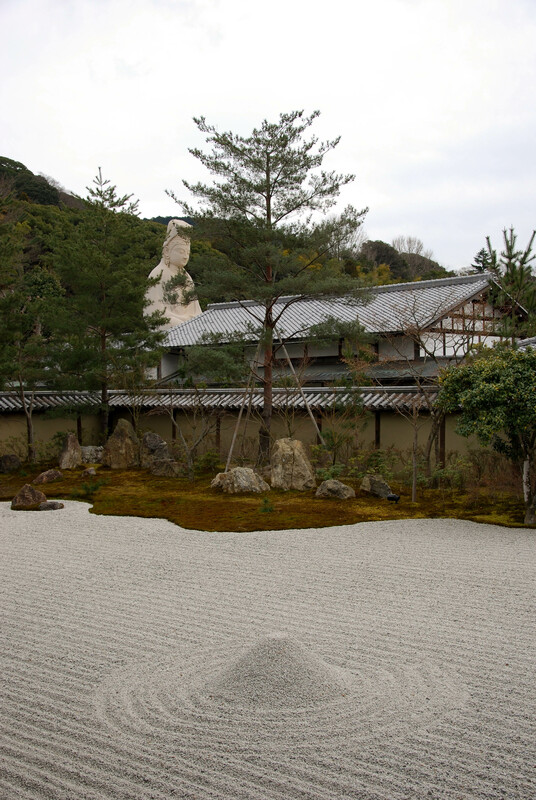 A zen garden with Buddha in the background. 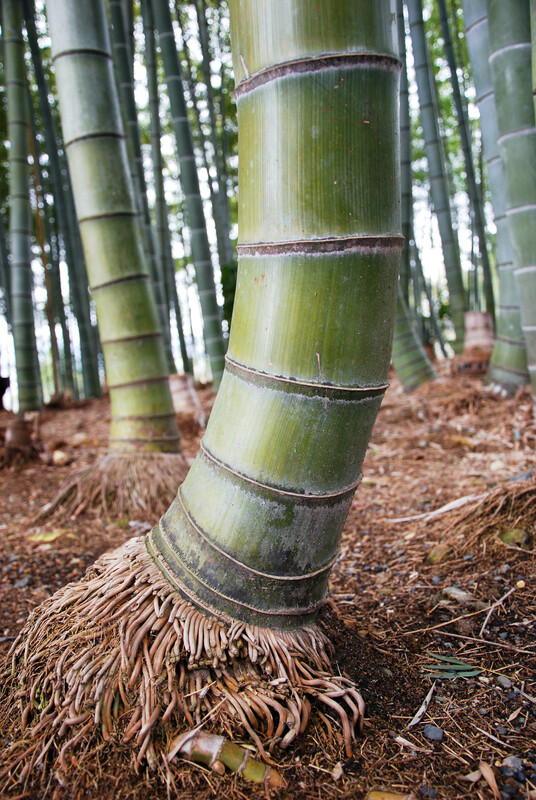 Charlie and the giant bamboo. 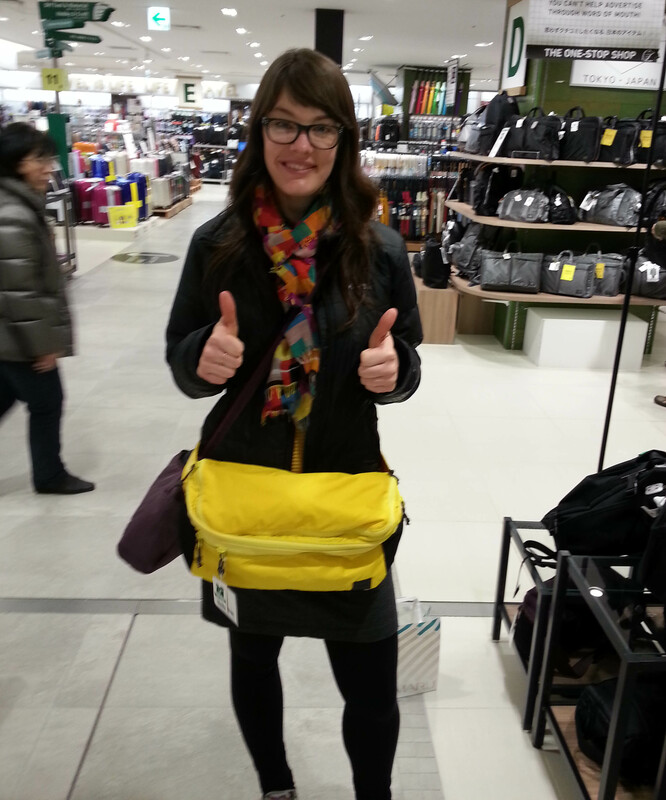 The largest fanny pack ever at a department store in Osaka. 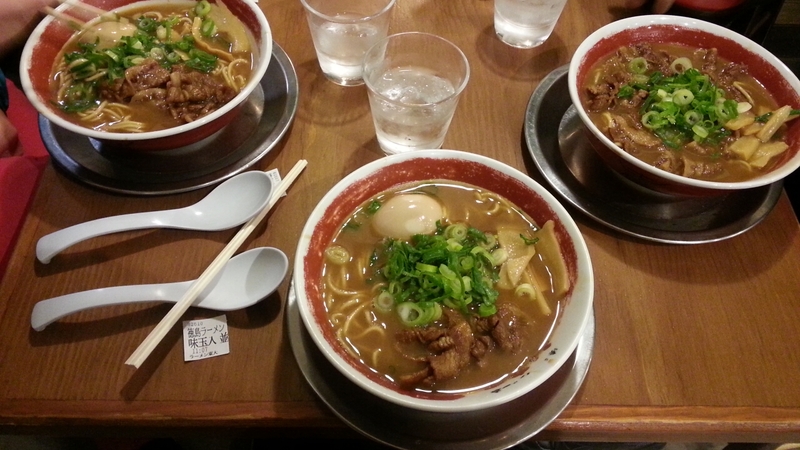 Delicious ramen with pork and a soft boiled egg. 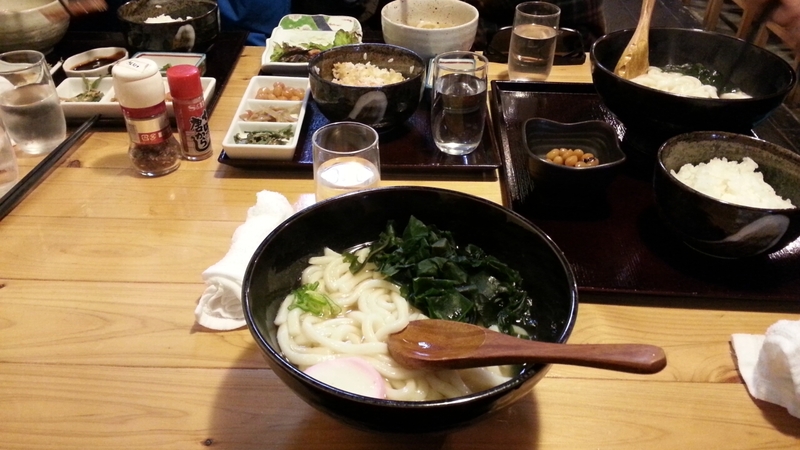 There were also bowls of fresh eggs on each table that you could crack into your ramen or on top of a bowl of rice. 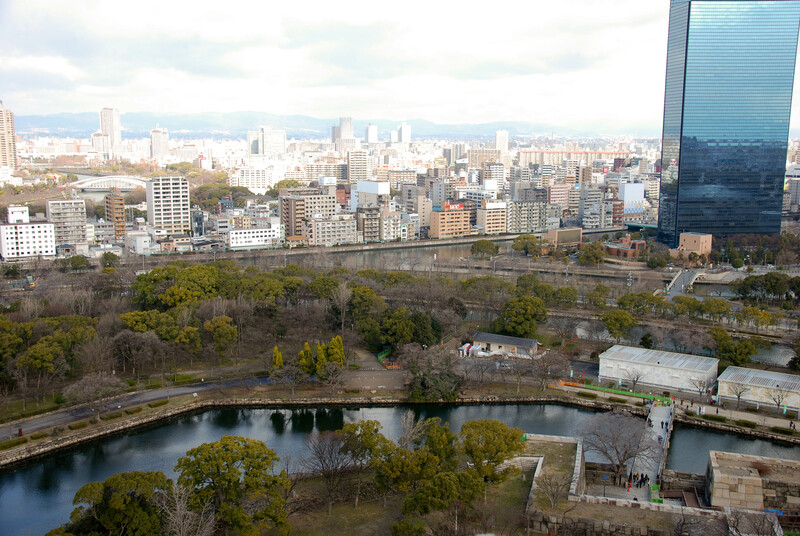 View from the top of Osaka Castle. 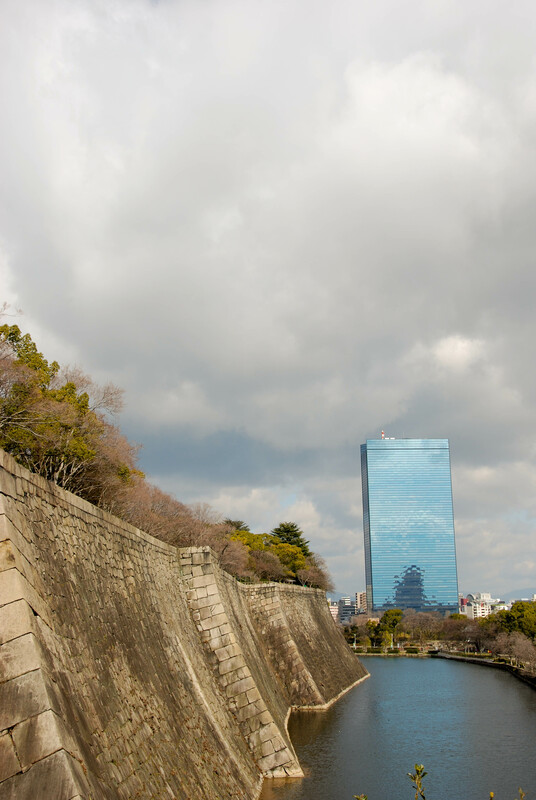 The moat and wall around Osaka Castle. Hanging out in our apartment in Osaka. Looks like it was a great time. 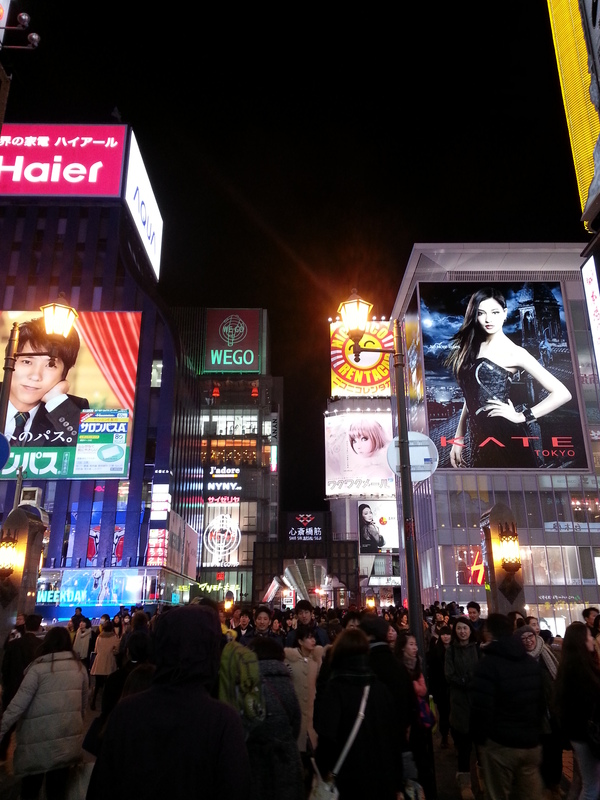 I hadn’t thought I would want to visit Japan, but may have changed my mind. Another fabulous post Emily! 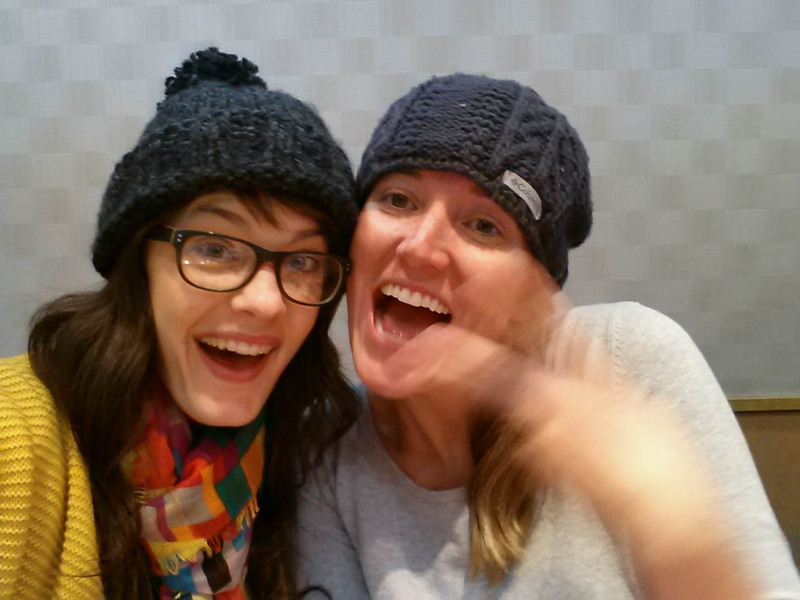 After all the sights and experiences you have had in the past year I hope you don’t get bored when you return home! Have a safe trip home!